This great new 1/2" wide 100% polyester checkered ribbon from May Arts is only $.55 per yard. 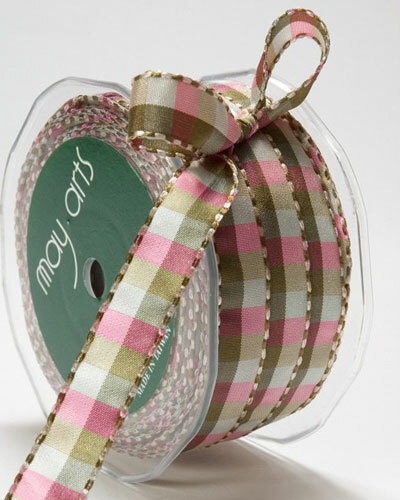 This pretty double sided checked ribbon features checks of variegated color. The edges are stitched in matching colors. This fun ribbon adds a modern twist to handmade cards, scrapbook pages, craft projects and gift wrapping.